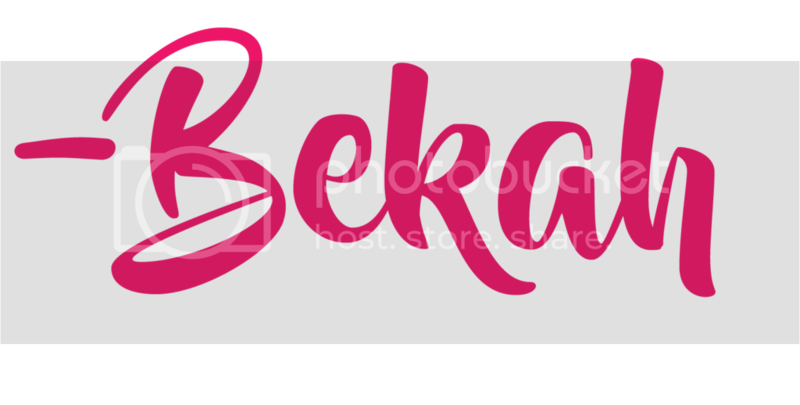 Once I signed up, my Facebook feed filled with ads for other style subscription services. One in particular had me raising an eyebrow: Nadine West. 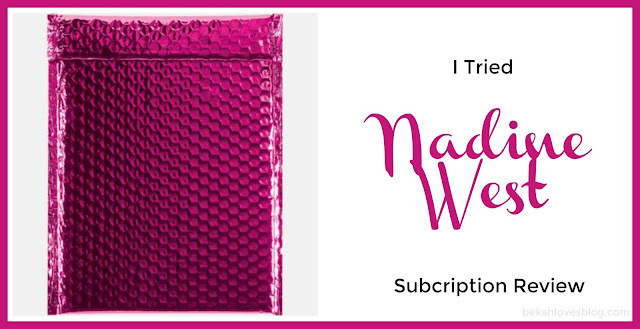 With their bright pink bubble mailers, they claim that "Only $7 to $35 items means this is a monthly outfit subscription you can ACTUALLY afford." You take a much shorter style quiz, choosing from style and color preferences and providing your sizes. You can also check if you do or don't want tops, bottoms, dresses, or scarves. 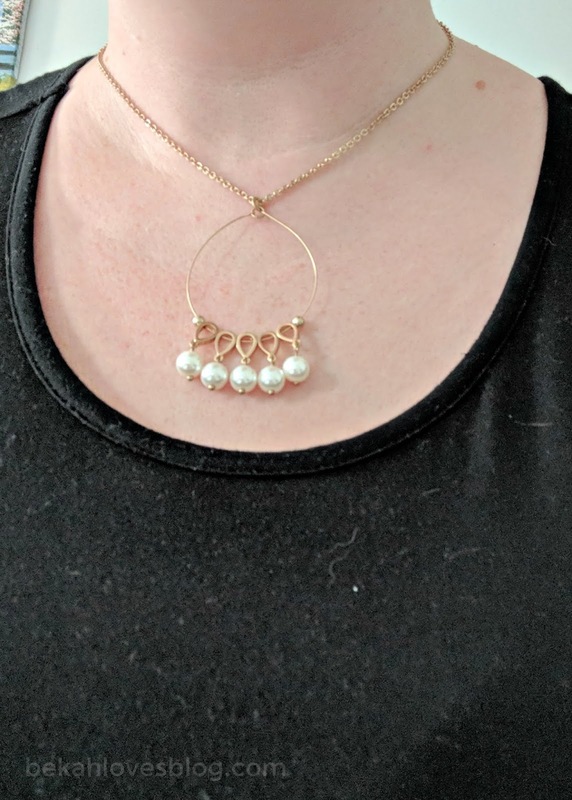 All subscriptions include jewelry. There aren't more in depth questions such as how things typically fit you in different areas (i.e., are pants typically tight in one area and baggy in another?). The $9.78 shipping fee is charged for each delivery, and like SF's styling fee, can be applied towards the purchase of any clothes you keep. A prepaid label is included to send back anything you choose not to keep. The package includes an invoice with each item's name and price. (My shipment contained 5 items which would have cost $99 for all). This was a point of frustration for me. I have all packages shipped to my office because there's a huge package theft issue in my city. It wouldn't accept the address and I almost didn't sign up. Finally, I did a search for the official postal address, and it took. My shipment was sent via DHL-USPS. It took longer than I expected, and the tracking didn't stay up to date, but I will attribute part of this to Memorial Day weekend and see what happens next time. The bubble mailer was packed to the gills. There was nowhere I felt I could cut it open for fear of cutting the contents, so I spent several minutes slowly peeling away to get it open. Also, anything you ship back should go in the same mailer, so you don't want to damage it. 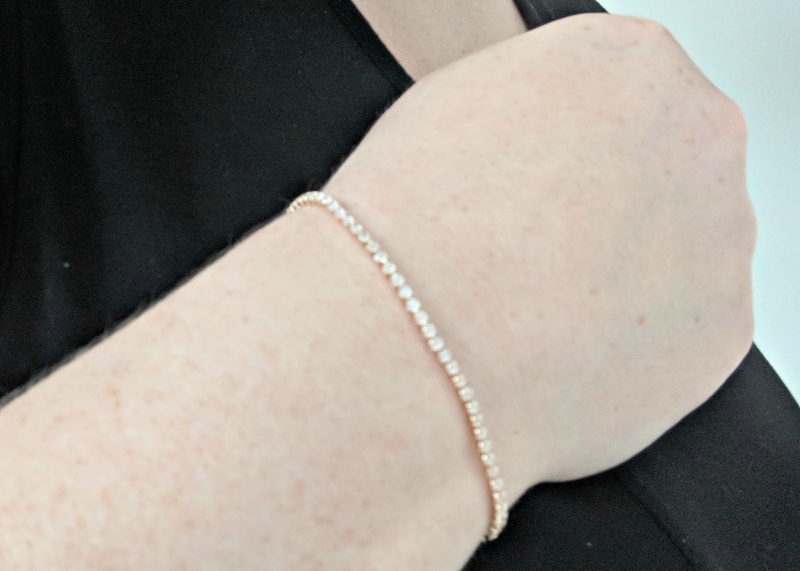 This was a simple goldtone tennis-style bracelet with clear stones. I've gotten similar bracelets as free prizes at MLM parties and this just isn't something I'd buy myself. I sent it back. These were most my style of anything in the shipment. I loved the simplicity and pretty mandala etching. These are versatile enough to wear with plenty of outfits. I kept these. This isn't my style, and it felt super cheap. I have plenty of $5 Paparazzi jewelry that feels sturdier than this. I would laugh if I saw this in a store for $25, and I was really surprised at the price tag from a service that totes low prices. In my opinion, this pricing is in line with Stitch Fix accessories (which are much sturdier), but not for Nadine West. I sent it back. 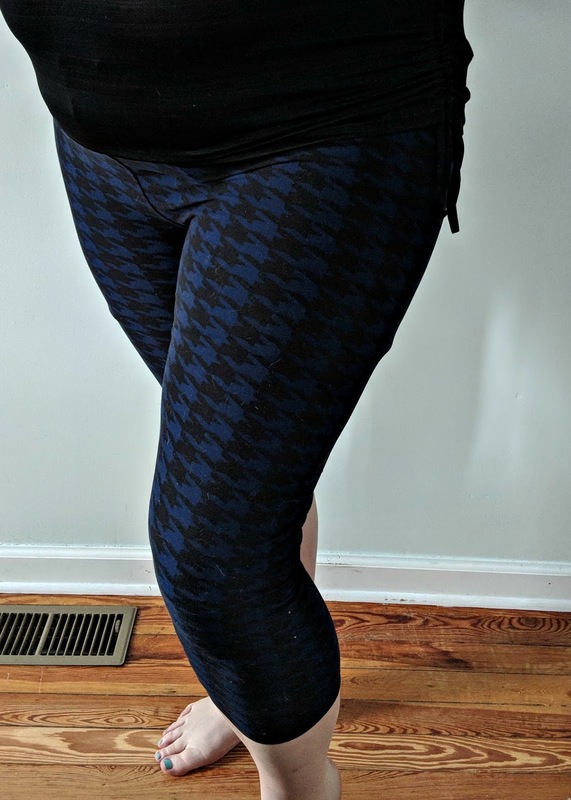 These are capri-length leggings with a black and bluehoundstooth print. While I'd be open to capri-leggings for lounging/workout purposes, I wasn't a fan of these for a few reasons: 1. The ugly print, 2. the very low rise, and 3. the icky old school waistband - we all know yoga waistbands are where it's at! That being said, I thought this was a fair price point, but I sent these back. 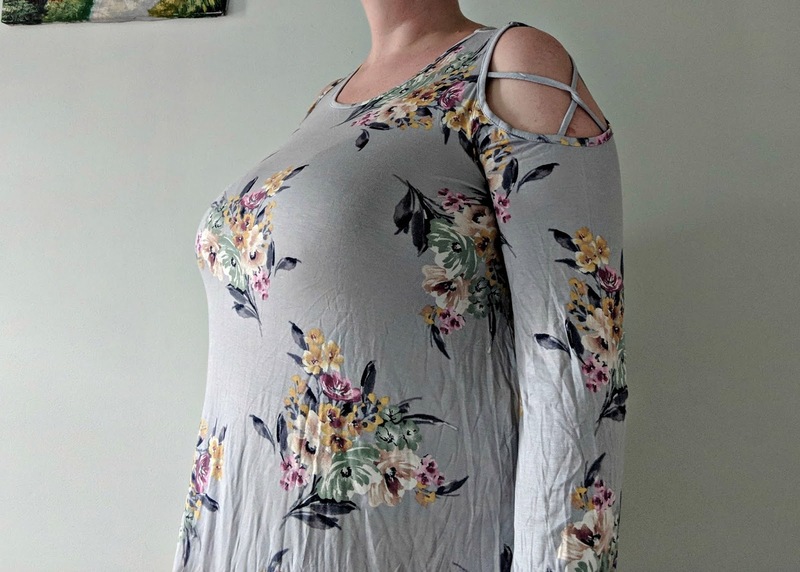 This was labeled a dress, but it's really a tunic; it barely covered my bum! I knew right away I wouldn't be keeping it for one particular reason: it's a cold shoulder top, which is a style I loathe. I also wasn't a fan of the colors, or the long/bell sleeves as it's summer. It was a super soft, comfortable fabric, though. This was sent back. The higher priced items of Nadine West's offerings line up with the rates of Stitch Fix's lower priced items. The big difference in my opinion is the approach to styling and quality. If I was younger and trendier, I might appreciate NW more, but what I realized right away was that SF's more thorough questionnaire (including links to your social media so they can "get" you leads to a better styling experience avoiding rookie mistakes like choosing colors and styles I'd never wear. For younger people looking for some fun, affordable new pieces, NW can definitely be a solid option, but for me, a 30-something professional looking to spruce up my work wardrobe, this first shipment wasn't the right fit. I felt like an adult trying on clothes in the junior's department. Just like SF, NW does allow feedback (though again, not as thorough) on all pieces in the shipment, so I have shared my thoughts and will have one more shipment come to see if the styling service does evolve. If NW does look up your alley, feel free to use referral code KP6Y-Z8WE-U59V when you sign up. I hear there's a little incentive in there for you. Did you like anything in my shipment? Having seen mine, is Nadine West a service you would try? Let me know in the comments! I like the lower price point but it all would've gone back. I don't wear jewelry so that's disappointing that most of it was thar. I think for the sake of fitting in the envelope, all shipments will have 2-3 jewelry pieces. It's definitely a matter of preference. I just got my first package this week and actually loved some things! They sent me 2 tops, 1 legging, 1 dress, and 3 pieces of jewelry. 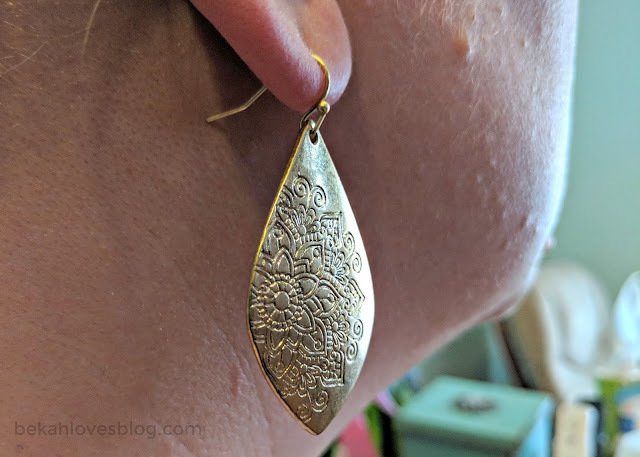 I agree on the jewelry - it just wasn't up my alley and felt too high priced for the look/feel. I LOVED both tops they sent. I sent the dress back because it was way too long for me (I'm a shortie), and the leggings I got were super high waisted and shiny, so even though they fit well and I kinda liked them, I knew the high waist would annoy me. I'm really happy with my tops though and can't wait to get my next package to see how they customize things after receiving feedback! Oh, and by the way - the dress you got is something I would have loved! I am obsessed with florals and cold shoulder tops haha. The earrings are adorable too!